Abstract: The Anne Lindsey Otenasek Papers contain materials related to Lindsey Otenasek, one of the 35 students studying abroad through Syracuse University's Division of International Programs Abroad (DIPA) killed in the bombing of Pan Am Flight 103. Materials include clippings, poetry, and photographs. 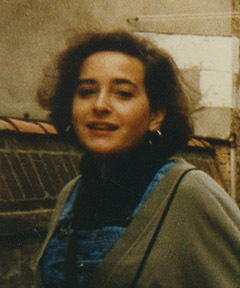 Anne Lindsey Otenasek, born January 13, 1967, was one of the 35 students studying abroad through Syracuse University's Division of International Programs Abroad (DIPA) aboard Pan Am Flight 103 when it exploded over Lockerbie, Scotland. Lindsey was a junior at Western Maryland College. She was interested in educating the deaf, and was learning sign language. Her goal was to work with deaf children. Lindsey was survived by her parents, Dr. Richard and Margaret Otenasek, and five siblings. A scholarship was established in Lindsey's name by Gallagher Services, a Catholic Charities program that provides residential and day programs for those with developmental disabilities. The Anne Lindsey Otenasek Papers contain materials related to Lindsey Otenasek, one of the 35 students studying abroad through Syracuse University's Division of International Programs Abroad (DIPA) killed in the bombing of Pan Am Flight 103. Materials include Clippings, Correspondence, Photographs, Subject Files, and Writings. The Subject Files series contains materials related to memorial services for Lindsey, and scholarships established in her memory. The Writings series contains the essay Lindsey submitted for acceptance to DIPA in the spring of 1988. The Anne Lindsey Otenasek Papers were donated by Peggy Otenasek in 2008. The Anne Lindsey Otenasek Papers are fully processed.